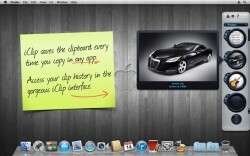 iClip is a fantastic application that will make a scrapbook out of anything you have copied. This is especially useful for people who are always copying text, images, and other objects to share them. It can be incredibly helpful if you copied and pasted something from a website, but can no longer find the original website. iClip will literally take everything you have every copied and save it so you can always have access to it. It designed to give you quick and easy access to past objects that you may have lost or forgotten about. 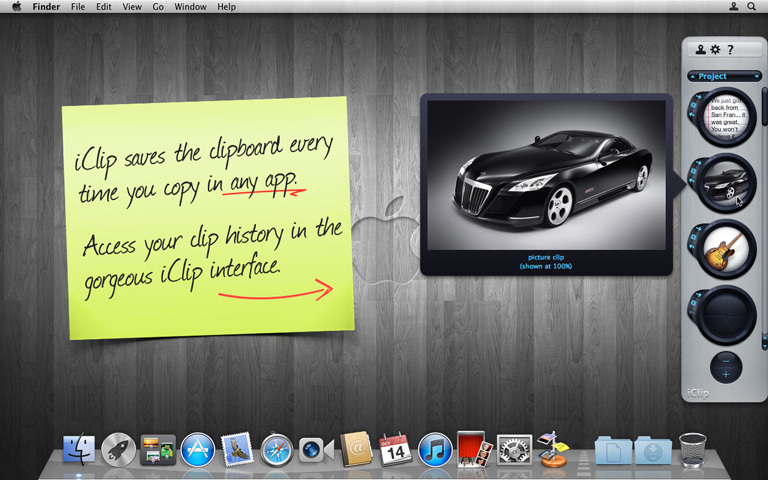 iClip is an extremely handy application that saves and organizes everything you have ever copied and ever will copy again. This by itself is enough reason to pay money for the application. What really steps up the game of this app is the intuitive interface for accomplishing your organization. There is a menu that will pop up and hide from the right side of your screen. This is fantastic because it is completely invisible until you actually need it. From this menu, you can organize the clips into sets very easily. You drag and drop the clips to remove them from your collection and to organize which sets you want them to appear in. In addition, you can use keyboard shortcuts to accomplish all of these tasks. This is very useful if you want to minimize interruptions to your workflow. With such a great application, there are only a couple missing features. For starters, it doesn’t not sync your clips across multiple computers. This would be a fantastic feature because you could have access to the wealth of information while you are not at your primary computer. In addition, it’s kind of annoying that you cannot save multiple snippets into a single clip. This would be useful if you wanted to save a couple pieces of information from a single page. Generally speaking, this application is truly fantastic. It is one of those applications where you don’t realize who useful it can be until you start using it. It makes tracking down forgotten information incredibly simple. I can see a use for this application for both professional and casual computer users.